Music does not care about age, race, culture or religion. It does not care what others think of you; it does not judge. Music surpasses language; it bridges societal gaps to enable communal bonds. These are some of the women making a difference not only in Colorado, but in schools, camps, festivals, workshops and communities around the world. Emma Back is a Naropa-trained vocalist, fiddler and looping artist. Back is the owner of She Sings Out Loud, a women’s empowerment workshop that teaches stage presence, music technology, songwriting and vocal training. 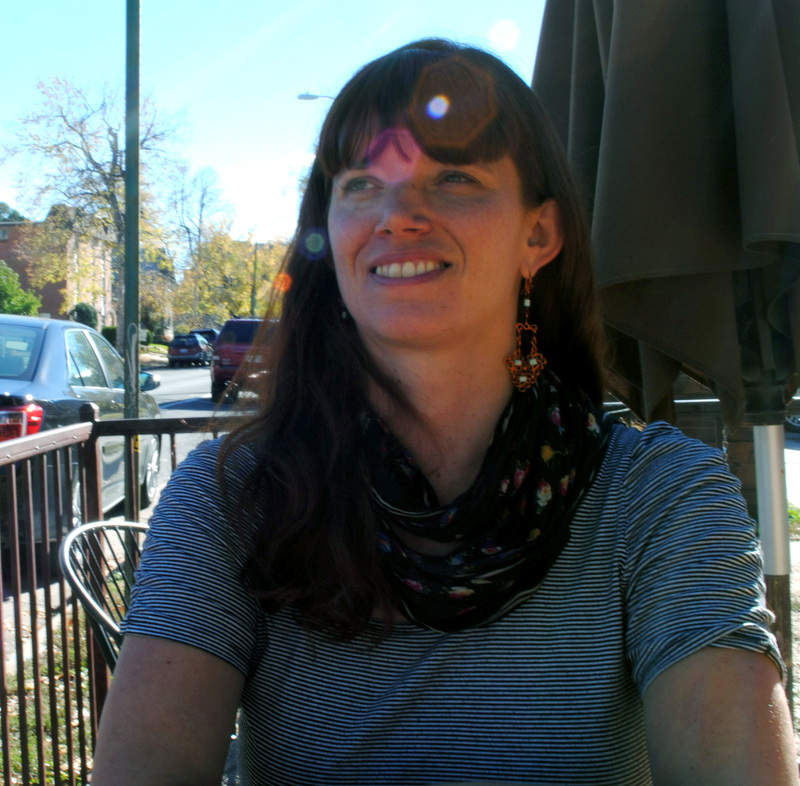 Emma Back, owner of She Sings Out Loud, in Boulder Colo. Photo by Lauren Maslen. Listen to Emma Back here. Steph Schwartz is a yoga and Kirtan teacher from Boulder, Colo. Schwartz uses Kirtan, a type of Sanskrit call-and-response style singing, in her classes, allowing students to tune in with their bodies and breath to create a communal atmosphere. Scientific studies have shown that choirs who sing together sync their breathing and, in effect, their heart rates. The same can hold true for those who practice yoga or Kirtan together. Schwartz says yoga and Kirtan can help create community; they can remove socially imposed and limiting labels. The Haunted Windchimes is a family-based unit of folk songsters from Pueblo, Colo. who balance their Prairie Home Companion roots with the modern day financial realities of “appeasing the hipsters.” The foursome plays “cowboy bars” and festivals around the United States. From South Carolina to Alaska, the band’s banjo-laden acoustic sound is gaining traction. The Haunted Windchimes at eTown Hall in Boulder, Colo. in October, 2014. Photo by Lauren Maslen. “Whenever I’m writing songs, I just have to realize that if I’m honest with myself, then there are people feeling the same way. Those are my people!” band member Chela Lujan said. Listen to the Haunted Windchimes here. Kronen is a Boulder, Colo.-bred experimental electronic rock group formed by brother-sister duo Caleb and Kato Kronen. Kato Kronen at Denver’s Bluebird Theater in October, 2014. Photo by Lauren Maslen. “Men are just in awe that you’re a drummer rather than even thinking of your musical talent. 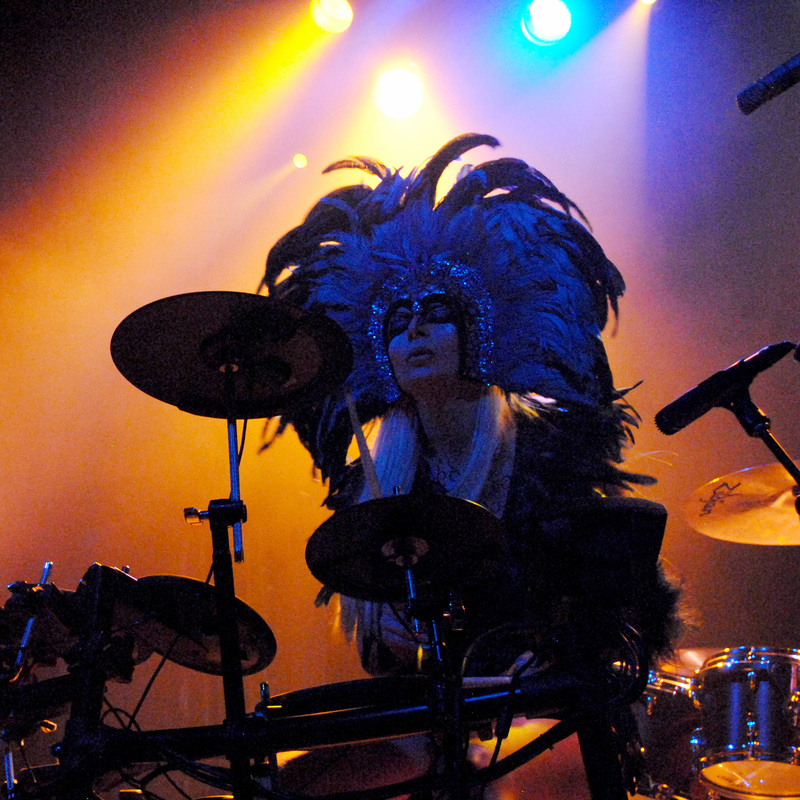 Women get caught up in that as well,” the band’s drummer, Kato Kronen, says of herself. Esme Patterson recorded her album Woman to Woman live in a day to “capture a feeling of urgency and energy.” Woman to Woman was meant to feel raw and unpolished, explains Patterson. In taking classically “untouchable songs” written by men about women off their pedestals, reexamining them from a different lens, and allowing their new perspectives to feel “casual” enough for conversation, Patterson says she never had one intended goal for her work. Listen to Esme Patterson here. Danielle Anderson (Danielle Ate the Sandwich) is an indie folk artist and ukulele player from Fort Collins, Colo. Originally gaining popularity through YouTube, Anderson currently tours the United States and says she’s inspired by death and frustrating familial relationships. Anderson is also working on the score for the documentary project Packed in a Trunk and releasing a new album next January. Danielle Anderson of Danielle Ate the Sandwich. Photo by Lauren Maslen. “I think of myself as a woman. I don’t think that I have to say something as a woman; just as a human,” Anderson said. Listen to Danielle Ate the Sandwich here. 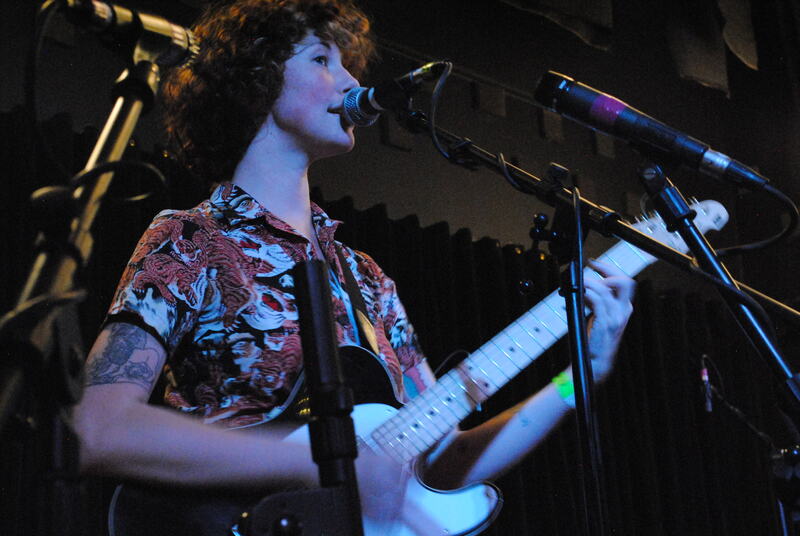 Chimney Choir’s sole female member and instrumentalist Kris Drickey says it “trips people up” when she doesn’t meet their expectations of being front and center as the band’s vocalist. Despite some audience members’ failed expectations, Drickey says she loves her role in the band. Chimney Choir’s Kris Drickey. Image courtesy the artist. Drickey says the band is “always in conversation of staying musically connected to each other” and to their audience. Listen to Chimney Choir here. 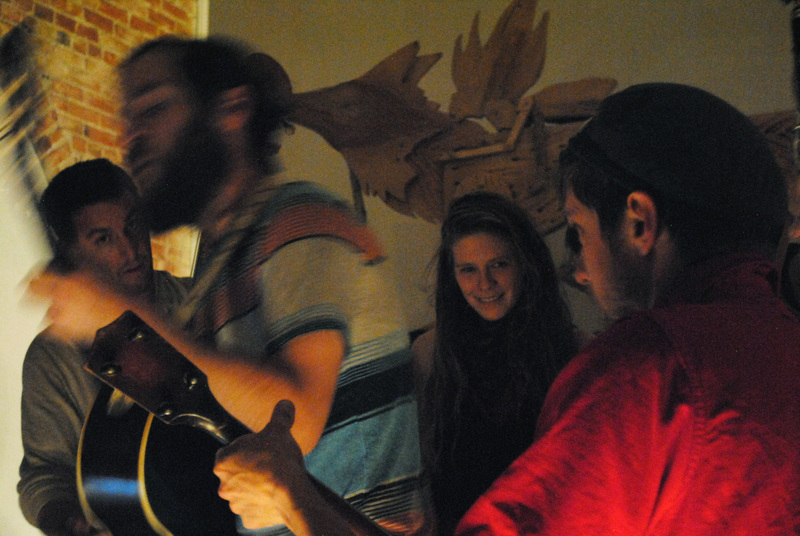 Spirits of the Red City is not a band; it is a collective. Stitched together by melodic mastery, member hails from a different musical background: jazz-fed youths, Juilliard-trained orchestral members; classical, professional, and just-for-fun guitarists, bassists, brass, and woodwind players. Each of the eight Spirits is a vocalist. The collective assembles throughout the year to tour around the country, selling out art venues by candlelight. One need only experience a live event or chat with the musicians to understand the group’s unique and collective magnetism. Spirit cellist Danah Olivetree moved to Boulder, Colo. in September 2014. “The music community here is definitely more supportive and integrated than pretty much anywhere else,” she said. “The scene does allow women to be awesome. It’s not a scene that asks you to prove anything. Spirits of the Red City at Denver’s Leon Gallery in December 2014. Photos by Lauren Maslen. Listen to Spirits of the Red City here. Titwrench Festival is an interdisciplinary, experimental music and arts festival. Started by Denver’s Sarah Slater in 2009, the festival incorporates music, multimedia art performances and technical workshops. Due to financial restraints, the festival is currently on hiatus in Colorado, but its community is as dedicated as ever. Titwrench’s sister festival in Stockholm, Sweden is running two years-strong and festival founder Sarah Slater hopes to expand efforts to Mexico City in the near future. 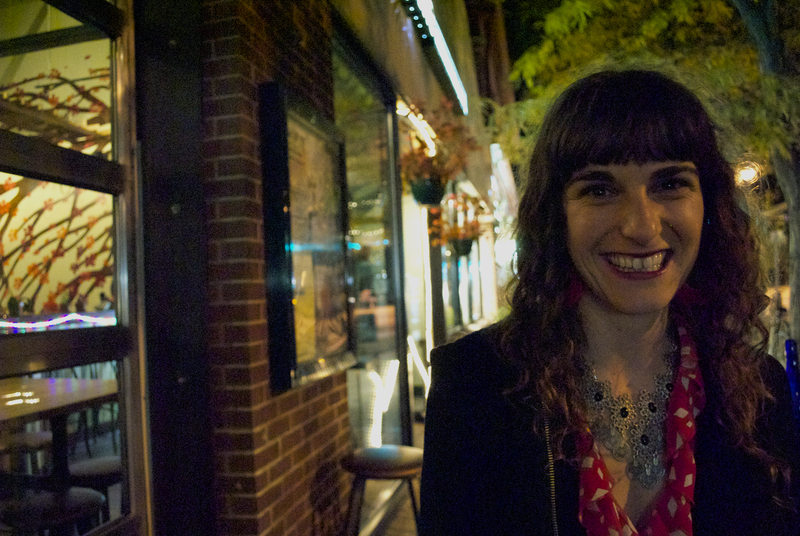 Sarah Slater, Titwrench Festival founder, in Denver. Photo by Lauren Maslen. Learn more about Titwrench here. “We wanted to create bridges between our community here and communities internationally; between different scenes and types of music,” Lesta said. 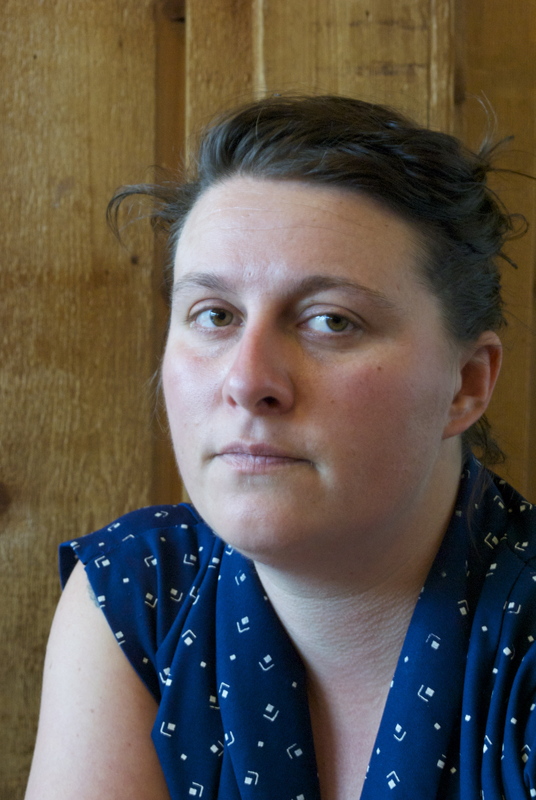 Kate Lesta, founder of Communikey. Photo by Lauren Maslen. Learn more about Communikey here.